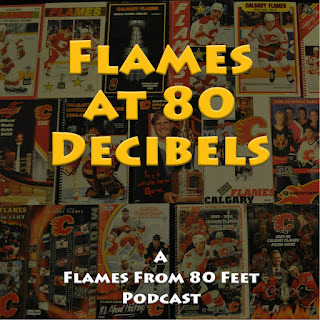 With Calgary sizzling hot and seemingly playoff bound, PostMedia beat writer Wes Gilbertson stopped by for a good solid hour of commercial-free Flames talk. Download it to your phone or iPod next time you're going out to walk the dog, play it in your car via Bluetooth while you commute to work, or just stream if via your desktop computer while you're supposedly 'working'. There are lots of ways to consume a podcast -- pick one, and enjoy! Last time Wes was my guest, it was Nov. 12 and the team had pretty much hit rock bottom. We discuss the biggest factors in the turnaround. We look forward to potential playoff match-ups and what would be the most favourable and least favourable opponents. We debate who are the wild cards moving forwards. Which players maybe have more to give or are the players to watch come the playoffs. We answered a bunch of reader/listener questions submitted via Facebook (or Twitter). The podcast began last summer as an experiment. I hope you'll agree, the quality has come a long way since that first one that was ripped off solo, on a whim and literally at midnight one lazy July evening. This is the seventh one done during the season. While initially I had concerns about how long each podcast would remain relevant, the insight my guests have brought and the manner in which we're tackling topics make them worthwhile listens long after after they're recorded. 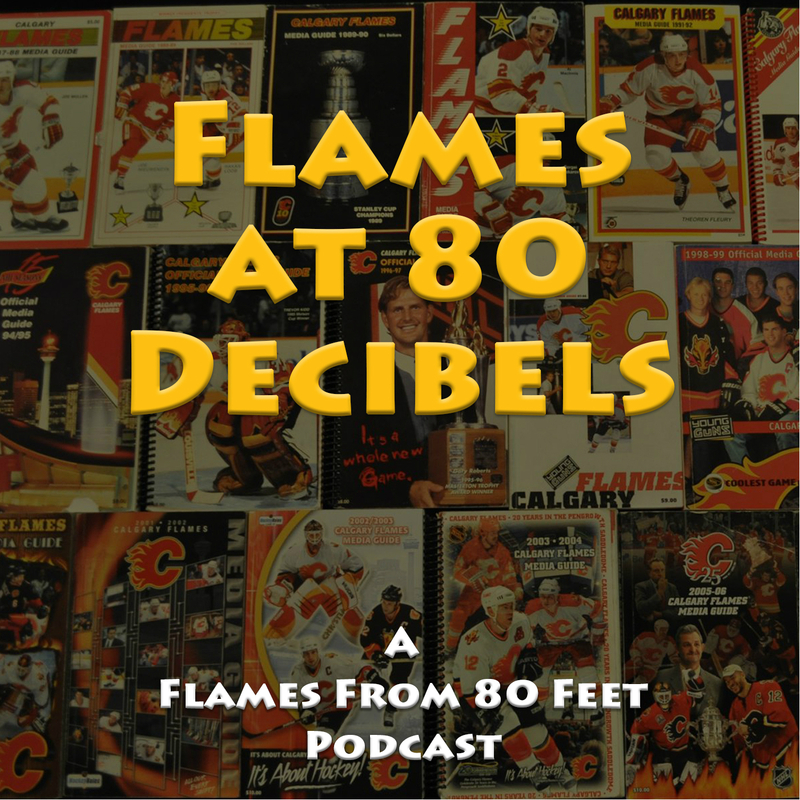 Episode 12 (1:26:22) - On Feb. 11 with the Flames just back from their road trip that included hockey in Central Park, Kristen Odland stopped by. We talked trade deadline, Dennis Wideman, Vegas expansion draft and my recently unveiled top 20 prospects. Truth be told, tying a franchise record was something many envisioned the Calgary Flames doing four months ago. Just not this type of record. At the time, a 5-10-1 start to the season had riled up fans calling for coach Glen Gulutzan to be fired. 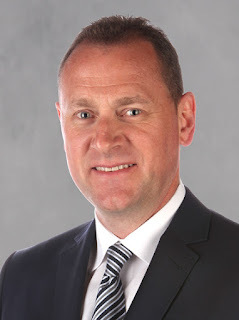 For his poor choice of coach, never mind his blunder in trading for Brian Elliott, frustrated fans were calling for GM Brad Treliving to be fired. Angered by dreadful special teams -- the power play in particular, irritated fans were calling for assistant coach Dave Cameron to be fired. Around the same time Donald Trump was being voted in as President, the only thing on the mind of some hockey fans in Calgary was voting out the Flames current administration. In the spirit of Trump's old television show The Apprentice -- you're fired, you're fired, and you're fired. Playing abysmal .344 hockey heading into a mid-November Tuesday night clash with the Wild in Saint Paul, Minnesota, the dubious franchise record that looked very much endangered was for futility -- lowest points percentage in a season. 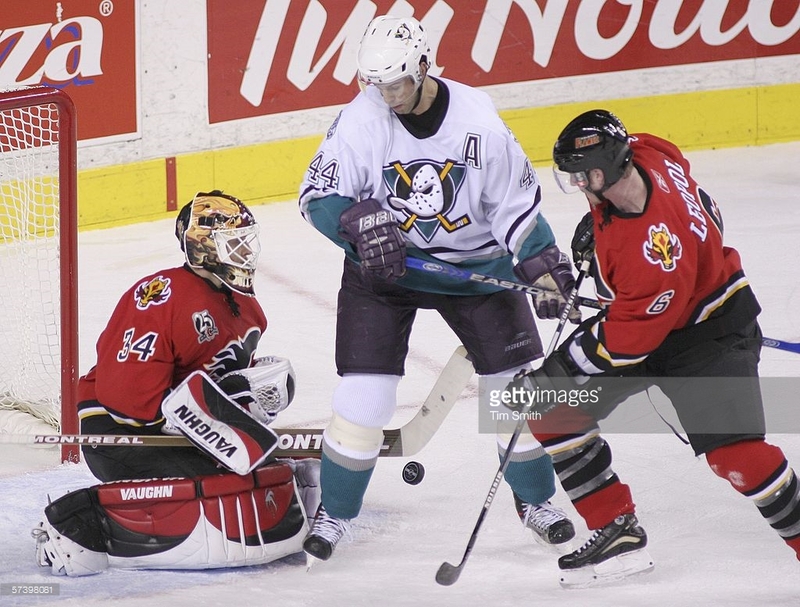 Revisiting each of the 43 seasons since Atlanta entered the NHL, the 1997-98 Flames under coach Brian Sutter, hold the distinction of being the worst club in franchise history. With a 26-41-15 record, a .409 points percentage made it the all-time worst campaign, just behind the 1972-73 expansion season for Atlanta (25-38-15, .417). But surely this club with its clueless coach, mistake-prone GM and shoddy special teams, was going to threaten that mark. Instead of tying a record for futility, which would have surprised nobody had you asked them four months ago, the club instead made the good kind of history on Monday night, winning its 10th game in a row. Not since Oct. 14 to Nov. 3, 1978 when the Flames were in Atlanta, had the team rattled off 10 consecutive victories. Many will point to the night seven weeks ago at the Bell Center in Montreal when Gulutzan ripped his team after a 5-1 loss to the Canadiens, as the pivot point in the season. You can see why too. With one game to go until the NHL's all-star break, Calgary went into the five-day layoff on a high thanks to a 3-2 overtime win in Ottawa, Johnny Gaudreau notching the game-winning goal. The Flames have been the hottest team in the NHL since that point and it's not even close. However, as dreadful as that sequence of games were leading up to Gulutzan's eruption in Montreal -- Calgary falling behind in four consecutive games 4-0 (versus Nashville), 5-0 (versus Edmonton), 4-0 (in Toronto) and 5-0 (in Montreal) -- the club was still sitting in a playoff spot. Sure, they were barely clinging to the second wild card, but nonetheless they were still in the top eight. For me, the turnaround traces back to two months before that. It all goes back to Nov. 15 at the Xcel Energy Center, the night most famous as the night of the Wild's 21-slash salute on Gaudreau. 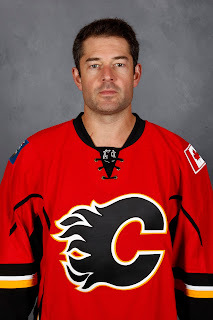 The chippy game would culminate with the Flames star forward exiting the game with a broken finger that would require surgery and would sideline him for three weeks. Remember the setting that evening. The worst team in the NHL up against the second-best team in the West and in Minnesota's home barn where they had lost just once up until that point. On a goal six minutes into the first period by Gaudreau, a real dandy at that, and 27 stirling saves from Chad Johnson, Calgary won 1-0. Two unexpected points and while it looked a mere blip at the time given the casualty from that game, it would turn out to be the start of something special. 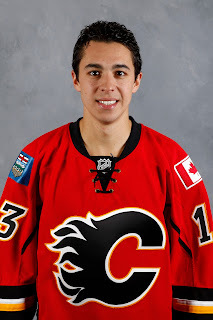 Without Gaudreau moving forward, the team realized that now more than ever, they needed to play the way Gulutzan had been imploring them to play. They had to play the system the first-year coach had been trying to instill. No one player was going to be able to lead this team, it had to be a collective team effort. And on a dime, that's when the turnaround came. In Gaudreau's absence, Calgary went 6-3-1. 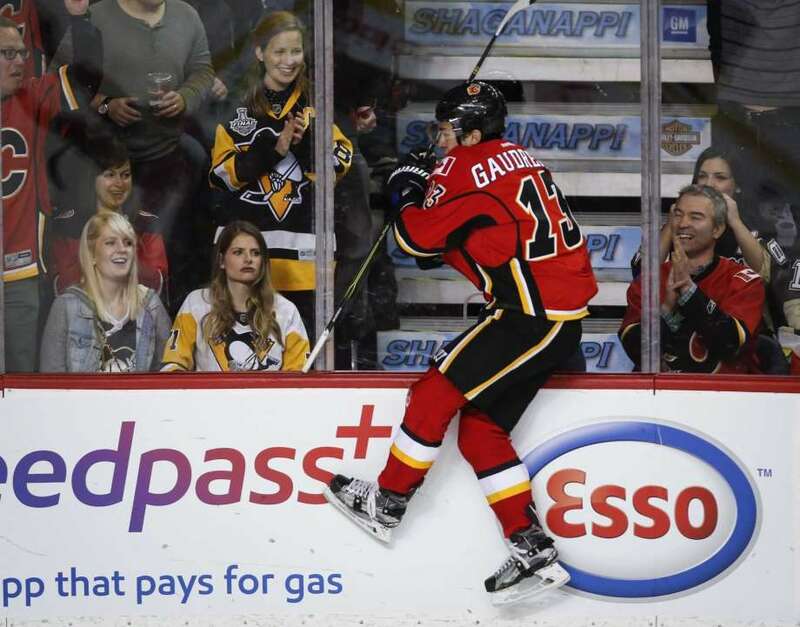 When he returned, the Flames promptly whipped Anaheim 8-3 at the Saddledome, Gaudreau opening the scoring on his first shift. Playing .344 hockey prior to that point in mid-November, Calgary has played .670 hockey in 53 games since. It's been an absolutely staggering turnaround. Dead last in the NHL to second in the Pacific in less than four months. Stunningly impressive body of work for Glen Gulutzan's hockey club. For skeptics around the league clinging to the notion that this run is merely a hot streak, that would be inaccurate. We're talking about a four month sample size and the equivalent of two-thirds of a season. For context to how good this team has played over that period, only once in the franchise's previous 43 seasons have the Flames played .670 or greater hockey in a season. That was 1988-89 when under the guidance of coach Terry Crisp, Calgary won its only Stanley Cup. Obviously, we're a long way from the season being over, but this historical context gives you a sense of just how good this team has played the past four months. Across the league, the only team with a better record in the West over this period has been the Minnesota Wild. Yes, that's the same Wild that Calgary swept in their three-game season series. Special teams has experienced a similar turnaround over this same period. On Nov. 15, Calgary's power play (9.4 percent) ranked 29th, only ahead of Ottawa (9.3). Since then, the Flames have operated at a 23.6 percent clip, which is second to Buffalo (24.6). On the same date, the Flames penalty kill (73.0 percent) also ranked 29th, only ahead of Chicago (66.7). Since then, Calgary has been a much-improved 83.5 percent, which ranks them sixth over that time period. There is still a long way to go this season and as the players continue to say, just making the playoffs remains their focus. 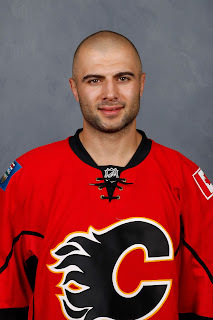 "We're beating some good teams, we're playing some good hockey, but we've still got a ways to go.," says Mark Giordano. "To put together a streak like this at this time of year, we control our own fate down the stretch." That they do. Now 10 points clear of the Los Angeles Kings with only 13 games to go. It would take a monumental collapse to not qualify for the post-season now. Even if Calgary was to revert to playing .344 hockey for the rest of the year, just like they played for the first five weeks, that still gets them to 91 points. That would force LA to win 10 of its final 14 games. For reference, the Kings have won just six of their last 14. “It’s that confidence," says Elliott. "It’s a little bit of a rollercoaster ride and you have to stay right in the middle. To have that confidence to do that, to not get too up or too down, that’s what it takes to win at this time of year and we’re learning how to do that on a nightly basis." Elliott has been a big reason behind the team's strong play of late. In his last 15 starts, he's 13-1-1 with a 1.91 goals-against average, a .934 save percentage and two shutouts. Flames will go for the record Wednesday night when Boston visits the Saddledome. The Bruins are the NHL's second-hottest team since Jan. 26, but against this Flames club with a coach that people are now on board with, a GM no longer in the bad books and with dangerous special teams, it's the Bruins that have to face a tough opponent, more so than the opposite. 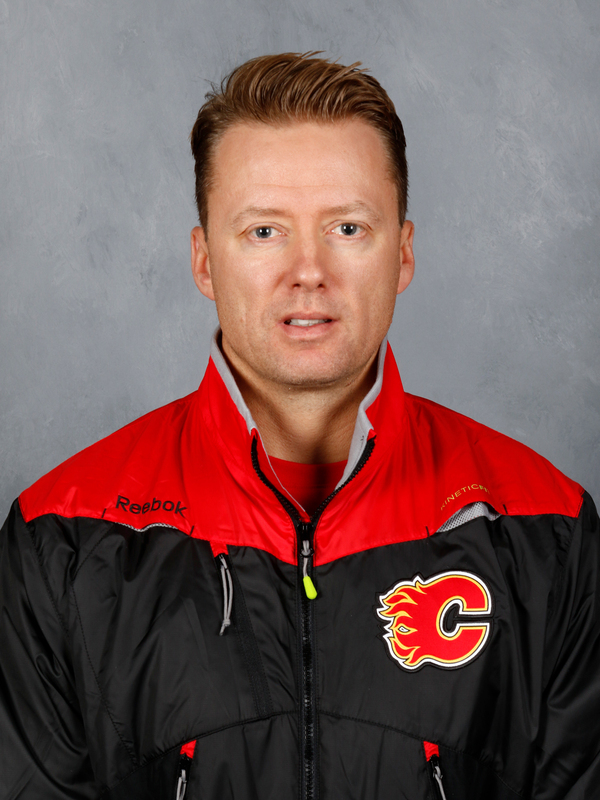 Life is good these days for Glen Gulutzan. His club riding a seven-game winning streak that suddenly has Calgary even in points with the Ducks, the first-year skipper has been on auto-pilot, rolling out the identical forward lines and D pairings game after game. People, we're a Nashville-regulation-win-in-Anaheim-on-Tuesday away from Oilers-Flames sitting 2-3 in the Pacific. Oh man, make this happen. The only hair out of place the last couple weeks was the opening 40 minutes of that wacky 6-5 overtime win in Nashville that started the streak. 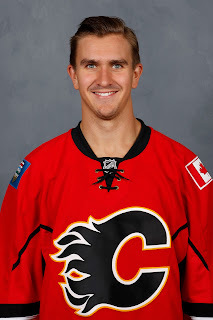 That night in the Calgary debut for Michael Stone, the 26-year-old former Coyote started on the third pairing with newly inked Matt Bartkowski, who had made his first Flames appearance the previous game. But by the end of the second period, Stone had already flip-flopped spots with Deryk Engelland and moved up alongside TJ Brodie. From that point forward, it's been same old, same old. No need to be spitballing alternate line combinations on the back of napkins, just these 18 guys and in these exact seats. Sunday afternoon's 5-2 triumph at the Saddledome over the New York Islanders must have been a coach's dream. All four lines in on the scoring with each contributing an even-strength goal. The Monahan line had two. "It's a huge luxury," says Gulutzan when asked about the benefits of having four lines contributing. "One of the things we have in our room is everybody has a role. Everybody matters if you walk through that locker room. It's not just a slogan. "We didn't want to be a one-line team, you need 20 guys to win, you really do." 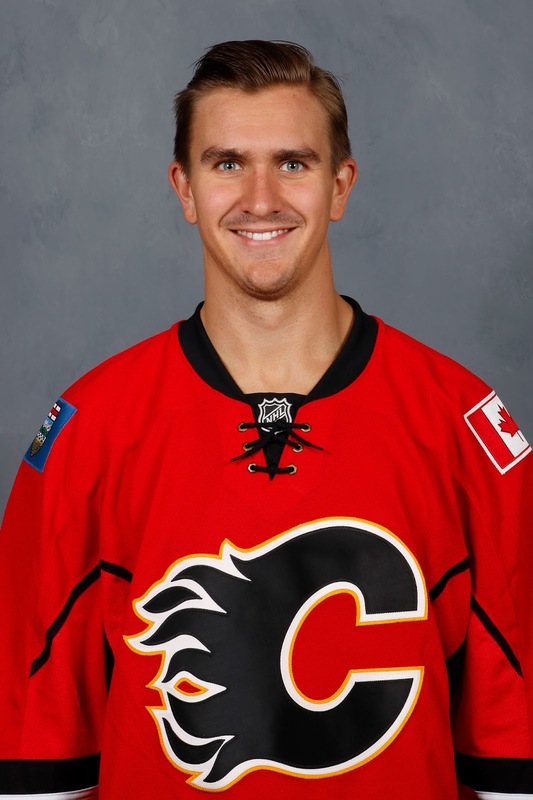 Still deserving of top billing is the 3M line comprised of Mikael Backlund, Michael Frolik and 19-year-old rookie Matthew Tkachuk. Dominant nearly every shift, it seems, what a goal they produced at 14:56 of the first period to touch off a firestorm of four goals in less than five minutes on the under-siege Thomas Greiss. If you were casually watching the game, you may have thought Calgary was on a five-on-three power play the way that trio -- joined by defencemen Mark Giordano and Dougie Hamilton -- controlled the puck. Go back to the defensive zone face-off in which Backlund outdueled John Tavares and Calgary essentially had possession for 52 seconds. There was one brief Islanders touch of the puck after Hamilton rimmed the puck around the end boards in the Isles zone but other than that, Frolik's goal was classic tic-tac-tic-tac-tic-tac-tic-tac-tic-tac-tic-tac-tic-tac-toe. The key thing to remember though is with the Backlund line, we're also talking about Calgary's primary shutdown line. "We've had some pretty good lines here that offensively could score and create but I don't think since I've been here, there's been a line that takes the onus in both ends and dominates," says captain Mark Giordano. "They've really been our best line all year. Tough match-ups, tough assignments, but they create a lot because they play the right way." 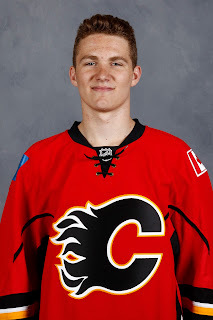 Other than two games in mid-November when Tkachuk had a cut hand and Jan. 26 in Ottawa when they tried Frolik on the Gaudreau-Monahan line to try and get them kick-started, that line has been the team's backbone since Gulutzan first put them together on Oct. 24. When you've been together as a line for 57 games, it's no wonder they've established some strong chemistry. 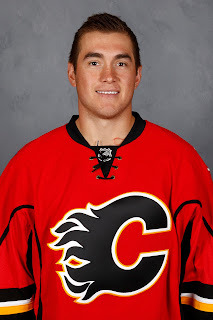 The key move that has helped the remaining forwards slot appropriately onto the other lines is Micheal Ferland moving up to play his off-wing with Johnny Gaudreau and Sean Monahan. 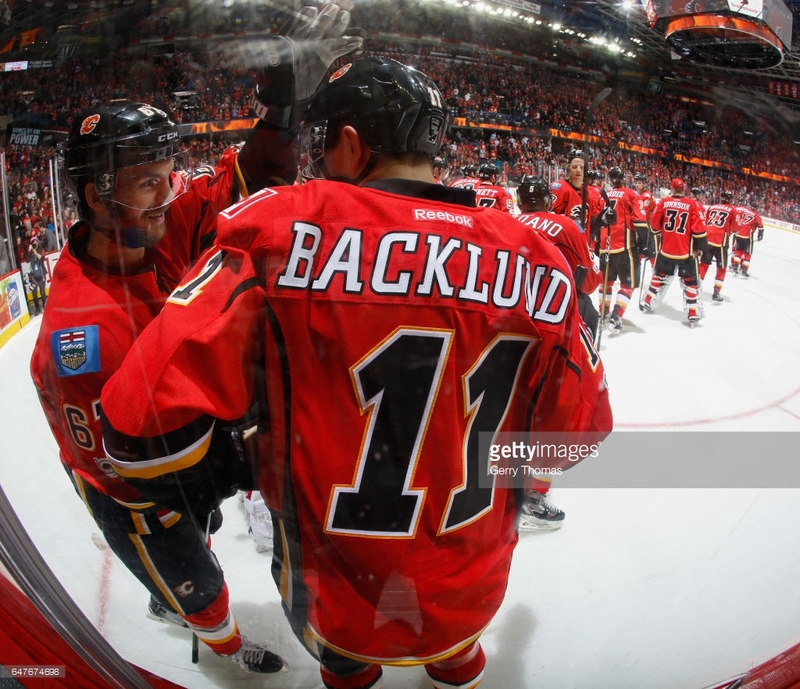 Their first time together as a line this year was also that night in Nashville and they enjoyed instant success as Ferland scored twice and Gaudreau broke out of a slump with four assists. 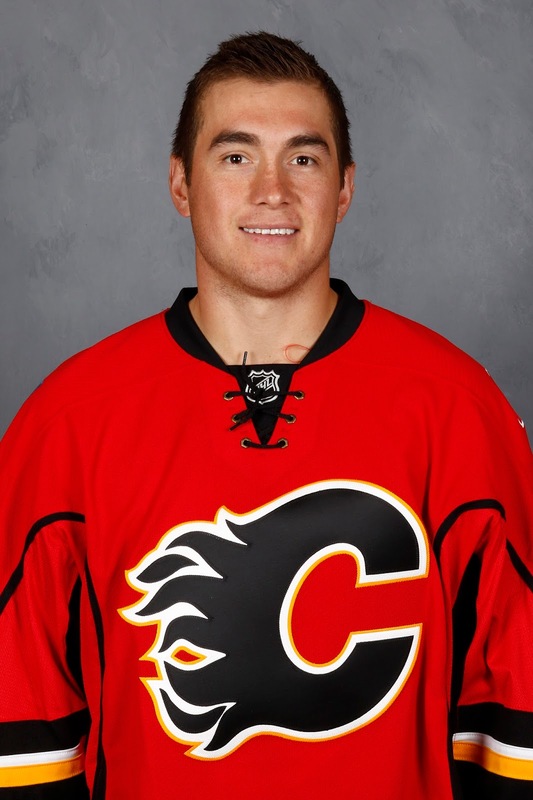 Showcasing his wicked shot, Ferland notched his 13th goal on Sunday, tying him with Gaudreau. He has lit the lamp eight times in his last 15 games. Gulutzan says the decision to move the physical, 6-foot-2 winger onto that line was something they had been contemplating for a while. "It was always something we had in our minds," says Gulutzan. "You try to build players up. 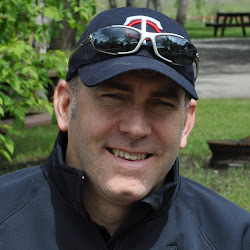 He spent a lot of time on the fourth line and did a great job." "Putting him there now and what he's bringing to that group. He doesn't need to be the skill-based guy, he needs to be Ferly and his attributes -- his skill, his toughness, his going to the net," Gulutzan said. "It's hard to play against him and that's what you get now from that line and it's helping." With the top six settled, the Flames have been getting effective minutes from the fourth line too, albeit with limited expectations. Where the greater focus has been is the third unit of Kris Versteeg, Sam Bennett and Troy Brouwer. While in general the results haven't been there as much as they would like, they've been better lately. Bennett, in particular, has been a lot more noticeable. On Sunday, they were the last of the lines to get in on the action, scoring 6:58 into the third to restore a four-goal cushion at 5-1. As all three broke in on a three-on-one, a nice pass from Bennett was finished off neatly by Versteeg for his second goal in as many games. "It's almost an internal competition with each line," says Versteeg. "Everyone knows what their job is so it's always nice when everybody contributes to a win." He says the benefits are many when you keep lines together. "You start to get chemistry and cohesiveness with everyone out there," says Versteeg, who is up to 12 goals. "It's nice to know where guys are on the ice and where they're going to be and understand tendencies and strengths of their game." Since the trade deadline, the buzz has been around when newly acquired Curtis Lazar will make his debut. Well, it won't be anytime soon as long as the team stays injury-free and keeps playing like they are. 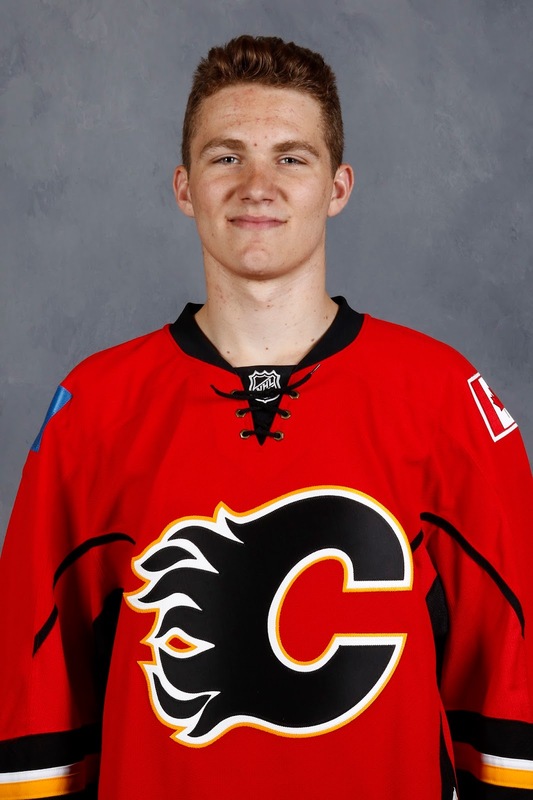 Soon, Lazar will know his popcorn peers Dennis Wideman and Freddie Hamilton better than his own parents. "We have good depth, we really do throughout our line-up," says Giordano. "Our six 'D', our four lines. In this league, you need different lines to step up every night. We feel like we've gained some consistency here in the last little bit. "It's nice every night to have different guys chipping in, having big nights, it feels good to come to the rink." It's a sentiment Monahan echoes. "When you're winning, the atmosphere is great," he says. "Right now, we're confident but we're not over confident. We know we still got a lot of work to do and we haven't proven anything." What Gulutzan likes best is everybody is a part of it. "What's going to take us far is when everybody feels like they're part of something bigger than themselves," he says. They'll attempt to make it eight straight victories for the first time since November 2005 when former Flames forward Paul Byron leads the Montreal Canadiens into the Saddledome on Thursday. As for what Calgary's line-up will look like that night, that part we already know.